It all started 5 years ago today. I had been toying around with the idea of having my own platform to share my thoughts and opinions about the world of beauty pageants. 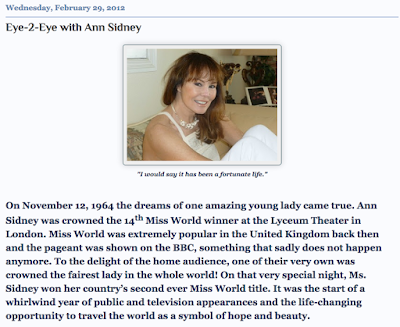 I had always dreamed about being hired by the Morleys to be a part of their Miss World Organization since I was a child. Well, Miss World was my first choice, but I would have gladly accepted a job at Miss Universe, too. Or Miss South Africa. I knew I had to be a part of the industry, but as the years rolled on, I realized that it was not going to happen. I participated in forums and made friends with people in the industry. I lived through them. Yet, somehow it was not enough. In 2010, I attended the Miss World Pageant to cheer on the lovely Miss South Africa, Nicole Flint. It was a highlight to meet her mother and become friends with her. I realized that there's so much more to this industry and I still wanted to be a part of it and be heard. So the idea of starting my very own blog to say what I want and how I want became something that I could not get out of my mind. I never really expected people to read or pay any attention to my thoughts and feelings, but I still wanted to have a platform where I could express my views. Yes, so I'm not officially part of the industry, although I wish I was... but unofficially I am... as the editor/owner of Eye For Beauty Blog. There have been many challenges: I am not particularly great with technology, so that's a huge frustration. I'm an amateur blogger. Furthermore, I am blogging from China, which makes it even harder. And then there's my insane work schedule. I don't earn any money from this hobby, so I have to work hard to keep my real career going. It's not always easy to manage to blog, too, especially when you come home after a 12 hour day. Then you have to accept that most of the time the pageant fans would disapprove of what you have to say. Despite all the challenges and frustrations, there have also been a whole bunch of highlights. 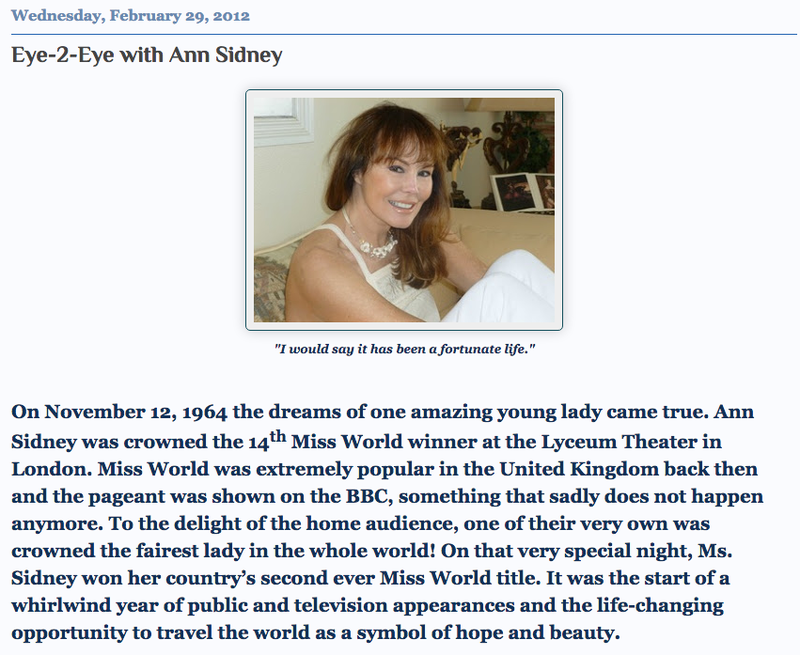 My interview with the incomparable Ann Sidney, Miss World 1964, definitely stands out. Then there was the dream that came true last December when a fellow South African won the Miss World title. I had "only" been waiting for 23 years. Perhaps the most meaningful that came from this blog is that I had the opportunity to meet so many wonderful people along the way - fans, contestants and directors. I guess this has, in some small way, made me part of the industry. And now to celebrate the fifth anniversary of my "silly little blog", I have decided to freshen it up a little bit. I have a new logo and made a few changes to the layout. I hope you like it. I have also decided to treat myself to a trip to Sanya for Miss World 2015 as a reward for keeping this up for 5 years. Finally, I would like to say THANK YOU SO MUCH to all the people who have liked, commented or shared my content. I appreciate all the comments (even the nasty ones), questions and feedback. It's been a challenge to keep this up for five years, but it has also been a honor. THANK YOU VERY MUCH AND I HOPE I CAN KEEP THIS UP FOR A WHILE LONGER. I Love Andre! I think his hot! Happy fifth bithday :) I love your blog! Happy fifth anniversary! Many many more to come! Really enjoy reading your honest opinions about all the major pageants today. I'm glad I'd stumbled upon this blog during Miss World 2013 and have been coming back since. Best and honest beauty blog. Congratulations. On the past 5 years. 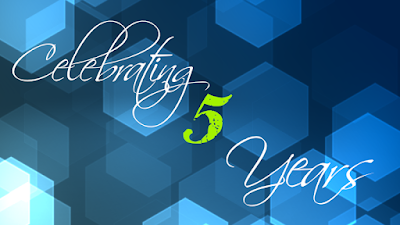 Congratulations on 5 years! Thank you so much for all of the work that you do!